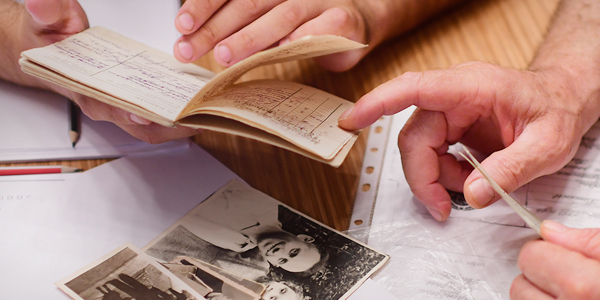 This Educator Video Toolbox is aligned to Echoes & Reflections, a comprehensive Holocaust education program that delivers professional development and a rich array of multimedia resources for middle and high school teachers. This video complements Lesson 4: The Ghettos. It addresses key historical context, supports your teaching, and provides a methodological and pedagogical framework to help you teach this subject effectively. Professional development programs for middle and high school educators are taking place around the country; you can find one near you here. This movie, which focuses on the story of the Lodz ghetto, will discuss the challenges of teaching about this period: how can we make the story of the ghettos relevant to our students? How can we shed light today, decades after the tragic events, on what Jews knew, felt or understood during those terrifying days? What are the sources that can reveal their internal worlds? Dr Robert Rozett is Director of the Yad Vashem Libraries, as well as an author, researcher and senior editor on Holocaust-related subjects. Shlomit Steiner is a staff member at the International School for Holocaust Studies, Yad Vashem. The ghettos were established as an interim measure as the Germans continued to seek a solution to what they defined as the "Jewish problem". The conditions in most ghettos severely limited Jewish life, and led to feelings of humiliation and loss of dignity. The Germans didn’t concern themselves with the well-being of the Jews incarcerated in the ghettos; they did not attempt to create an alternative that would allow for the continuity of Jewish life. In fact, many Jews died as a result of the harsh conditions in the ghettos. Within this frequently deadly situation, Jews still did their utmost to conduct their lives and retain their human dignity. The story of the ghettoes is a human story that we wish to reveal through the story of individuals. The personal story shows us the face of humanity and the human spirit. It is important to reference the human story in the broad context and to connect the stories to the historical events.